Drivers made the most of a completely dry day today, with the sun shining over the Barcelona circuit from start to finish. I managed to cover the full day of testing with a handy Factbyte Factbox here, if you want more detailed info. But to sum up: Kimi Räikkönen couldn't bask in the sunshine, as he was unwell with a stomach bug and unable to participate. 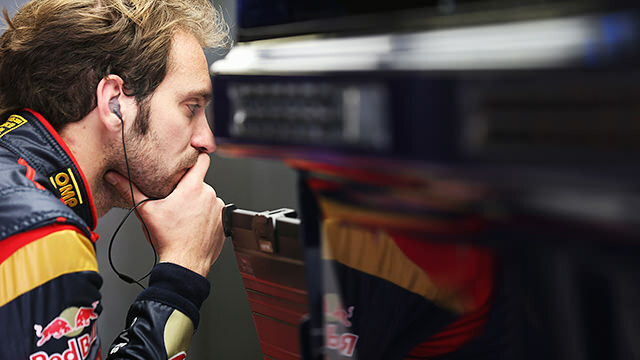 Lotus gave reserve driver Davide Valsecchi 16 laps in the morning, but asked Romain Grosjean to fly back from Paris to take over the afternoon session. 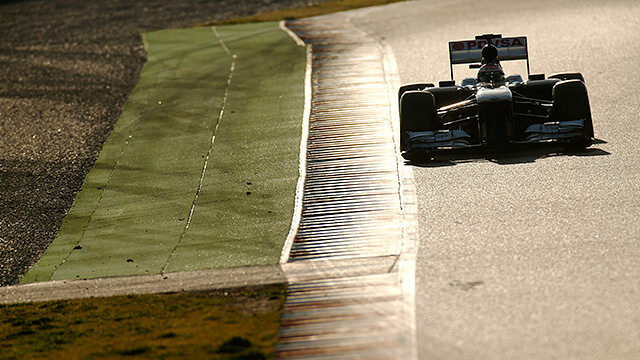 Lewis Hamilton was on the pace almost immediately, with most of the flying lap times set in the morning. The afternoon was reserved for longer stints and race simulations, and by then Hamilton had already surprised many with the super-fast lap time. Lewis wasn't about to get carried away, though. The guys are working so hard at the factory and here at the track; it's been really nice to get to know everyone in the garage and how they work together over the past few weeks. The reliability, the mileage and the step-by-step improvements that we have achieved during the three tests are all very encouraging. There were a couple of red flags in the morning session, brought out by the aforementioned Davide Valsecchi, and also Giedo van der Garde in the Caterham. Both cars stopped out on track but were swiftly recovered and the action got underway without too much hold-up. At the very end of the day, Ferrari had a significant problem when Felipe Massa brought out another red flag. The Brazilian had just been into the pits for a set of supersoft tyres, but when he returned to the track, the wheel popped off! Thankfully, it didn't fly too far, and both car and wheel ended up in the gravel. Ferrari says "a problem with the left front upright meant that Felipe had to stop the car on track." Something of an understatement given that the wheel had gone sailing off on its own! Mixed day for @Esteban who had a productive morning, but wasn't able to complete the race simulation due to some technical issues. 99 laps. That has been a good Saturday! Woke up, jump on a plane drove the E21 and soon dinner time! 109 laps done, P3 in the rankings, a race sim completed and lots of data to work with. 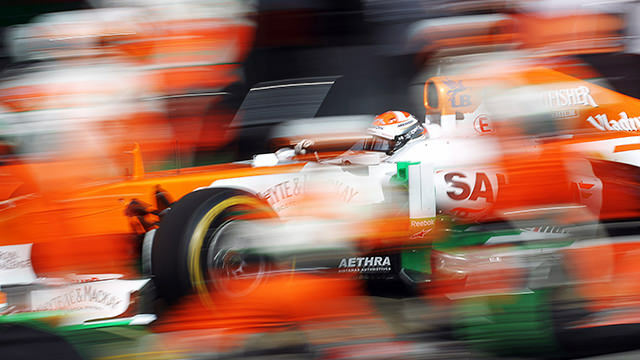 A very successful day for Adrian Sutil and the team! It's the final day of pre-season testing tomorrow then. Reports have Kimi Räikkönen feeling better and likely able to return to testing duties. 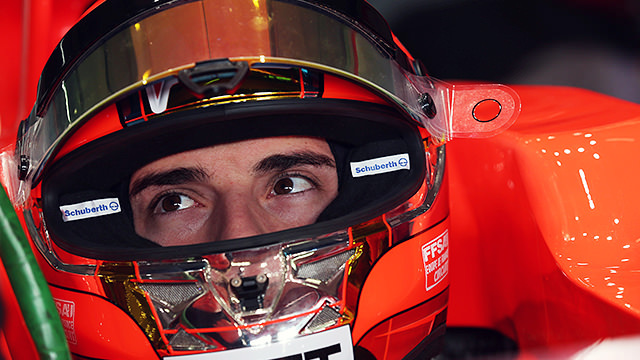 Bianchi and Chilton will have half a day in the car each, whilst Sebastian Vettel, Fernando Alonso and Jenson Button all return to the car for the last time before Melbourne.